First off, there is no way to fully prepare your basement, or home for that matter, for a flood or any other type of emergency. When it rains, it literally pours and you have your finances, belongings, and stress levels to worry about—we’re not only here to help you through any type of property emergency, but we’re also here to help you along and try to prevent this from happening (or happening again). On average, a home will have water damage at least every 50 years. If you’re one of the lucky few, you will never experience any water or fire damage to your home. If you’re like most of us, you more than likely will in the timeline of you living at your home experience a flood or fire. For the sake of this newsletter, I will focus on basement flooding. Generally, you will ask yourself a few questions. What can I do to prevent a flood in my basement? What kind of flooring can I have down in my basement? There are a few things that can help prevent a flood in your basement. If you have a sump pump, plumbers generally recommend it be replaced every three years. Also, it would help to keep a back-up sump pump attachment. Keep in mind, when the power goes out, you may want a battery-powered option to keep your basement from flooding when the sump pump goes out. At my house, we’ve got an Insteon Leak Sensor that I stationed right next to my sump pump. In the event of elevated moisture, it sends a signal to my phone and e-mail, which may prevent additional damage if I am nearby. This has worked for me in the past and I highly suggest investing in some kind of an awareness system to let you know if there is high moisture in your basement. Plumbers I have spoken with also suggest having your basement drains snaked once or twice a year, regularly, to clear out any possible roots or items that may cause a back-up in your basement. Speak with your friendly neighborhood plumber and ask their suggestions on what you could do to help prevent a back-up. Now, my favorite question…what type of flooring should I keep? My favorite answer? None! An unfinished basement is the easiest and most cost-efficient to clean and sanitize in the event of a flooded basement. However, most people keep their basement as a second living space, storage zone or bedroom for additional family members. Sometimes an unfinished basement just will not work for your circumstances! Glue-down carpeting is generally the safest bet when it comes to flooring in your basement. If you have a storm drain back-up, it can be as simple as extract and dry. With padding, padding typically needs to be removed when it gets saturated (not all cases). Laminate flooring buckles when it gets wet, and is typically damaged beyond saving by the time the water is recognized. Waterproof vinyl is newer to the market and we have been seeing great results with the vinyl being able to maintain the moisture without damaging the flooring too much. At the end of the day, it will come down to personal preference and what you truly want for the look of your basement. No type of flooring can guarantee you’ll be “okay” in the event of a flood; some may end up saving you money if your basement were to take on large amounts of water. Keep in mind, in the event of a sewer back-up, it will not matter what type of flooring you have or do not have when dealing with sewage cleanup, IICRC industry standard guidelines state we must remove these affected materials to eliminate any harmful contaminants which may be present. Always remember to elevate your important contents and keep proper insurance coverage in case of a back-up in your home. Speak with your local insurance agent to ensure you are properly covered in the event of an emergency. Always remember, being prepared is key and keeping a dedicated and honest contractor in your back pocket is extremely helpful! Best wishes! In Part 1 of our guide, we discussed the fire hazards that come with cooking equipment, cigarettes, children, electrical equipment, and flammable liquids. In this section, we will go over five more dangers that make up the top 10 causes of house fires. Avoid these in your home, and you will be able to protect yourself well into the future. Barbecue grills can be particularly dangerous during the dry summer months because the grass is so flammable. All it takes is one dropped coal or unexpected flam outburst to spark a large fire throughout your yard. To prevent this: Always use barbecues outdoors, not even in your garage. Clean all removable parts regularly, and check the connections for potential leaks. Fake Christmas trees are made to be fire proof, but that does not mean that they are 100% guaranteed not to light on fire. If you use a real Christmas tree in your home, your risks of fire are even higher. Any lighting or decorations you use can be dangerous if they are not properly inspected before use. To prevent this: Check all wiring before hanging lights on the tree or on your home. Keep Christmas trees away from heaters, radiators, fireplaces, and other heat sources, and never use live candles on your Christmas tree. Older homes are more susceptible to house fires than newer homes because of the wiring inside. Even well-installed wiring that is fully up to code can cause problems if you ever have a vermin infestation. They chew the wires, the wires spark a fire. It’s that simple. To prevent this: Have your home’s electrical wiring inspected regularly, especially if you have an older home or are purchasing a new home. Replace any faulty wiring as soon as it is discovered. We mentioned candles in Christmas trees, but just having candles throughout your home could lead to problems over time. You must be careful about where you place candles in your home in order to avoid fire. To prevent this: Use candle warmers instead of flames. This will allow you to have the aroma of the candle without the fire. Avoid putting candles near any flammable materials, and use candle holder to collect wax that may drip down. As you may expect, your radiator, heater, space heater, and other heating equipment could spark a fire if it malfunctions or is stored in the wrong location. This will also apply to fireplaces and chimneys if they are not properly inspected. To prevent this: Keep portable heaters at least three feet away from flammable items, and have your furnace and chimney regularly inspected. Keep your furnace filter clean throughout the winter months, and install a carbon monoxide alarm if you have any gas equipment in the household. Now that you know what the top 10 causes of house fires are, you can go about the steps necessary to avoid them in your home. Most people do not realize how extensive fire damage restoration is until they gave to go through it. Putting out the fire is only the beginning. There are many other tasks that come into play. Let’s take a look at four important factors in fire damage restoration so you know what to look out for if you ever encountered this situation. With anything related to fire or water damage, you need to act sooner rather than later. The water that was used to put out the fire will quickly start to grow mold in your house. 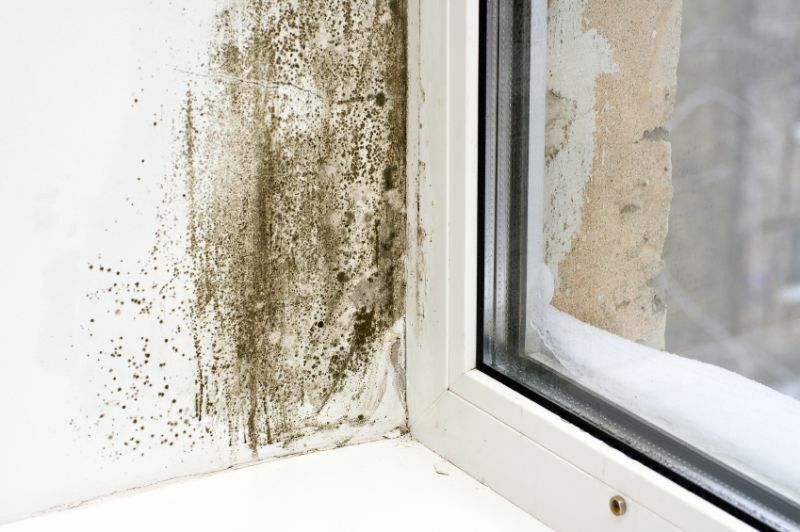 The longer you let that set, the more likely you are to have major health and respiratory problems as a result of the mold. Act fast, and get the help you need right away. This is not something you want to wait on. Smoke damage in the house is usually a bigger problem than fire damage because smoke has the ability to reach a much broader area. Even though the damage while maybe at the surface, it is something that needs to be cleaned out to ensure that the home is healthy and safe to be in. If you’re doing any kind of restoration work on your own, you have to think about the smoke effected area, not just the area that the fire burned in. Even though you might be able to see a big hole in the floor where the fire was, you might not be able to see the mold spores growing in the support beams in your home or the smoke that is setting in the back of your drywall. These are all factors that can impact the health of your home over time. That is why it’s often best to get a professional to come out and thoroughly inspect your home after fire damage. You want to make sure that you tackle every problem, even if you can’t see it on the surface. If you have encountered fire damage, you want to make sure that your restoration efforts will help you avoid fire in the future. For instance, if your fire was a result of faulty electrical wiring, you need to make sure that your home is properly wired after the restoration it to protect yourself from another fire in the future. Work with a good team restoration experts, and you won’t have to worry about more problems arising in the near future.